Open Source Software (OSS) projects rarely have a marketing strategy or budget. There are many reasons for that and the majority are the result of misconceptions about what marketing actually is. The most common misconception I noticed among OSS project owners is that marketing is not something OSS needs mainly because it's free. In this first post in a series about Marketing Open Source, I will dispel some myths about marketing and (hopefully ) give you a better understanding of its role in the success of your project. As many of you may have noticed, I've shifted my activity on the blockchain from blogging and writing to managing, reviewing, scoring, living and breathing @utopian-io . So you should not be surprised that this first post after over a week of silence is closely related to what I've been doing for most of my waking hours since you've heard from me last - everything and anything having to do with marketing open source projects, including Utopian itself. It is my hope that this blog post series will bring value to the open source community, as well as help marketers understand how they can contribute to the success of their favorite open source projects. 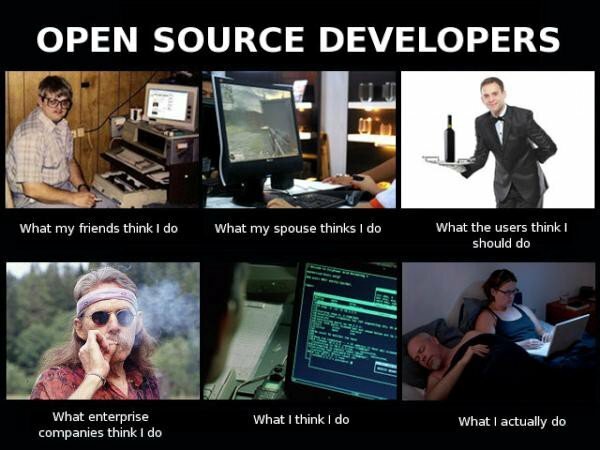 This misconception is common not only with OSS project owners, but also with your average mortal. It's important to understand that marketing is not sales. 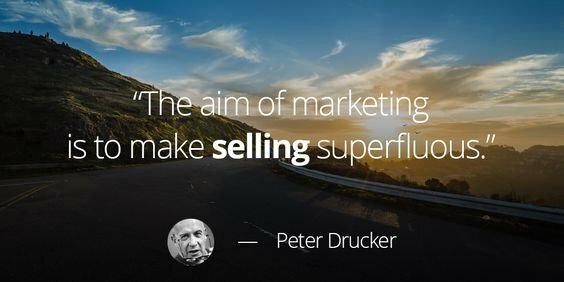 In fact, marketing is what makes sales possible and effective. "If you build it, they will come." 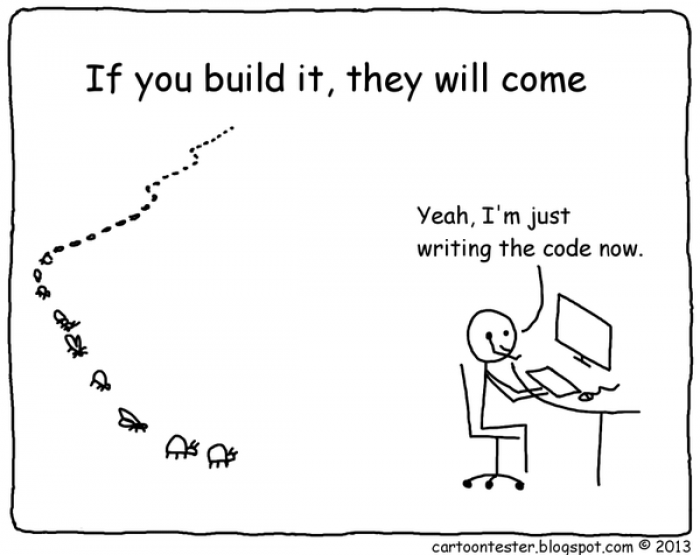 Many OSS developers believe it, but don't like to admit it. In the mind of a project owner, their product is the best thing since sliced bread. So naturally they assume that every human with an Internet connection and who needs the product will find it and use it because it's FREE! Unfortunately, this is not true and the main reason OSS projects need a marketer aboard. Creating a product that is awesome doesn't instantly make people aware of its existence. Many OSS project owners are driven away from talk of marketing or promoting due to lack of funding. Where would you get money to pay for services, ads and professionals to promote your project if it's free? Whatever donations you might be getting for your hard work can hardly cover the cost of a marketing agency. Not by a long shot. 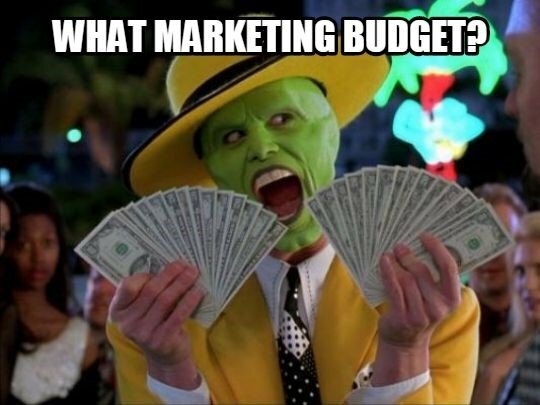 The good news are that marketing is not as expensive as you think. In fact, many of the tools that will allow you to automate marketing activities are free (and open source!) and upkeep activities (to be discussed in later posts) don't cost anything at all. Some organizations, like Utopian.io, are looking to support and empower OSS projects from all angles. So in addition a community of developers and bug-hunters, on Utopian you can find professional marketers who can help you in prompting your project. With their skills and experience, they can get much better ROI on every cent invested, and get rewarded by Utopian for high-quality work. The ideal of decentralization and community collaboration is part of the open source philosophy. That said, a community cannot promote a product they do not understand or know of (yeah, that's a bit recursive). With marketing materials available (like landing pages and fun content to share) the community is more likely to take part in promoting your project. The last misconception in this list relates to OSS projects that are a work in progress, pre-Alpha or even a white-paper with little to no code attached. It's easy to think that a project like that needs no visibility, at least at such an early stage. This is a good time to remember we are still in the Open Source ecosystem, looking to decentralize development and attract quality contributions to our projects. And how will we do that? You guesses it - through marketing targeted at a specific audience: Open Source developers and entrepreneurs - just like you. As noted in the prologue, I hope this is the first part of a series. I don't promise regular posts because I can't predict my workload at Utopian. But as I work on marketing Utopian and helping project owners on Utopian optimize their marketing efforts, I hope to gain even more insights to share with you here. I am looking forward to your comments, insights and suggestions in the comments!